Citing his personal honor and dignity, Juan Ponce Enrile resigned his post as Senate president Wednesday afternoon. Enrile, 89, has led the upper chamber since the ouster of Senator Manuel Villar in November 2008. “With the constantly shifting political tides, to muster the support of the majority of your colleagues and to maintain that support long enough, to achieve something for the people is a feat in itself,” Enrile said during his privilege speech. Ramon Casiple, executive director of the Institute for Political and Economic Reform, said winning bets from the administration-backed Team PNoy will be part of the new majority. “Liberal Party (LP) leaders and their coalition allies like the Nacionalista Party (NP) have agreed early on about the issue of senate leadership,” Casiple said in a phone interview with The Filipino Scribe a week after the polls. The impending exit of Enrile as Senate chief will also trigger a revamp in Senate committee assignments, Casiple said. He noted that the new majority can have as much as 16 members. Expected to join the nine senators-elect from Team PNoy are seven senators who won during the 2010 elections. Included here are from Senators Franklin Drilon, Teofisto Guingona III, Sergio Osmena III, and Ralph Recto, all LP members. According to reports, Drilon is the one that will most likely succeed Enrile. President Benigno Aquino III is LP’s national chairman while Interior Secretary Manuel Roxas III is its president. Roxas is on indefinite leave following his appointment as DILG chief last year. Senators Pia Cayetano and Miriam Defensor-Santiago are also likely to join the incoming majority. Senator Bongbong Marcos, despite his family’s long feud with the Aquinos, is also expected to join the group because of his ties to NP. “We can also count Lito Lapid in because he is aligning himself with the administration,” Casiple said, noting that Lapid voted for the impeachment of then-Chief Justice Renato Corona last year. Mark Lapid, the senator’s son, is currently the chief operating officer of the Tourism Infrastructure and Enterprise Zone Authority, an attached agency under the Department of Tourism. Enrile’s allies include senators-elect Nancy Binay and Joseph Victor Ejercito as well as Jinggoy Estrada, Gregorio Honasan, and Vicente Sottto III. Casiple said Senator Ramon Revilla Jr. will likely join Enrile’s camp because of his 2016 presidential ambitions. The actor-politician is currently the chairperson of Lakas-Christian Muslim Democrats, the ruling party during the time of former President Gloria Macapagal-Arroyo. “Enrile will revert to being a senior senator but he will lose his clout,” Casiple said, adding that Enrile’s bailiwick in Cagayan province may become vulnerable during the 2016 elections. He explained that Aquino and Enrile had a transactional relationship the past three years. “It’s a quid pro quo relationship. 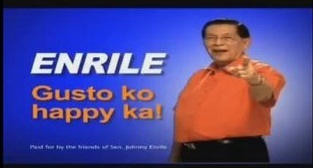 There are issues against Enrile but they (the administration) didn’t touch him,” Casiple said. Early this year, Enrile’s alleged favoritism in the disbursement led to an unsuccessful attempt by his critics led by Senators Alan Peter Cayetano and Antonio Trillanes IV to have him replaced as Senate chief. Malacanang did not endorse the move. Enrile wasn’t initially expected to remain as Senate President after Aquino’s election to the presidency in 2010. He retained his post after both Senator Manuel Villar Jr. and Francis Pangilinan failed to obtain the support of 13 senators. Casiple explained that an administration-controlled upper chamber offers Aquino with both risks and rewards. “He will have an easier time having the bills he wants passed, but if he fails to get things done, he will be blamed,” he said, saying the president cannot anymore use as an excuse an unfriendly Senate for his failure to accomplish his legislative goals. Casiple said this should include the Freedom of Information bill as well as the Political Parties Reform bill. He reiterated that because of Aquino’s popularity, it is “safer” for politicians to side with him. “He’s definitely not a lame duck president,” Casiple said. But Casiple warned that things may change when the 2016 election season begins. “Alliances are dependent on political realities, but if Aquino’s popularity holds and he retains control of both Houses of Congress, Aquino will be in a position to anoint his successor,” he said. Quick insights: At 89, Enrile should have long retired from politics. Can you remember how high his public approval was during the Corona impeachment trial? Now, looking back, he should have considered that. Instead, he ends his career in disgrace.